Over a year has passed since our sponsor Columbia Crest asked us to help spread the word about their Crowdsourced Cabernet campaign. Followers of Columbia Crest were able to participate in the wine making process, choosing barrels, picking grapes and other aspects of the wine making process. Well they are asking for some help now that the wine is barreled. Columbia Crest has partnered with award-winning designer Jon Contino to create wine labels for their 2014 Crowdsourced Cabernet. He has created three and the would like some help picking one. All you winos should check hit up CrowdsourcedCabernet.com to vote for one of the three wine labels. Voting ends on July 3rd. They are also looking for an abassador to their new vintage, an ECO, Executive Crowdsourcing Officer. 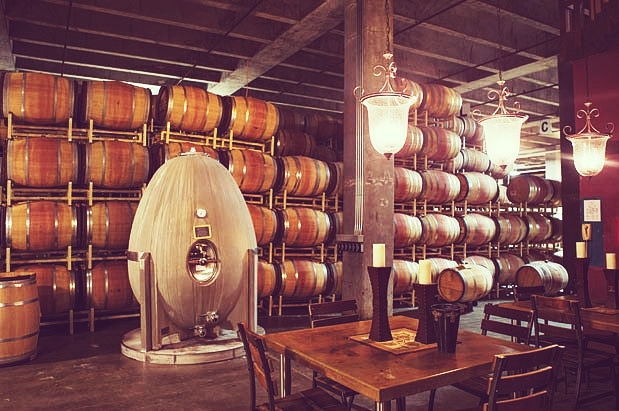 The ECO will travel to Columbia Crest Winery in Paterson, Washington, and work alongside head winemaker Juan Muñoz Oca to help create the 2015 vintage. Applications are being accepted through an open entry video contest. You do not need to have a deep understanding of winemaking, just an enthusiasm for wine consumption and the ability to create a fun video. In addition to the experience the winner will also receive a $2,500 prize. Check it out, details can be found on CrowdsourcedCabernet.com. Thank You For Supporting Our Sponsors !